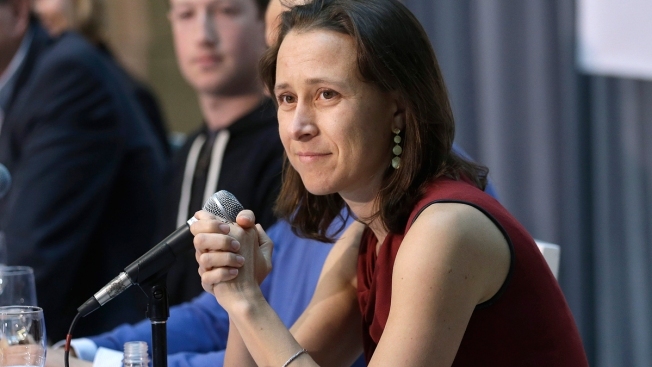 In this Feb. 20 2013, file photo, 23andMe CEO Anne Wojcicki speaks at an announcement for the Breakthrough Prize in Life Sciences at Genentech Hall on UCSF’s Mission Bay campus in San Francisco. GlaxoSmithKline announces $300 million equity investment in 23andMe from CNBC. 23andMe is one of the largest makers of at-home DNA tests, which start at $199. More than five million people have sent in a spit sample in exchange for information about their ancestry, as well as some personalized health reports, like whether they're at greater risk of developing breast cancer.